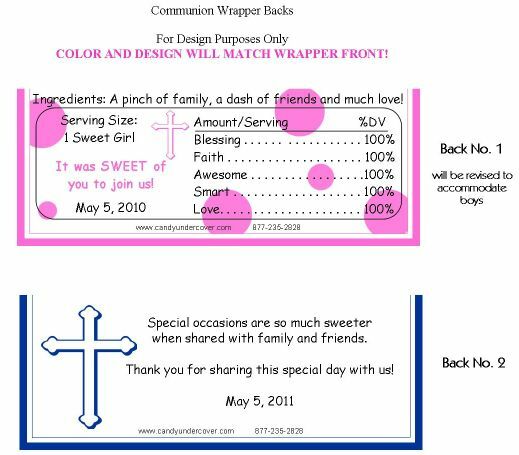 This Communion Chocolate Wrapper is oh so cute! A little blond haired girl receiving her First Holy Communion. 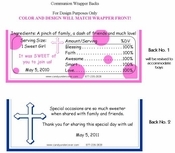 These candy bar wrappers make the perfect First Communion Party Favor for your special day! Complete with personalized name, and date of Communion. They will look great on your party tables!